Midtown Center PR program participants. A unique seven-week summer program aimed at increasing the number of young minority men considering public relations as a career option just wrapped up at the Midtown Center for Boys in Chicago. Judging from initial feedback, the program was a success since none of the students initially was aware of the career potential of PR, but several now are considering it as a college major. Thanks to a grant from the PRSA Foundation and support from DePaul University, the program engaged high school sophomores, juniors and seniors in a variety of public relations activities, including publication of a weekly newsletter for Midtown students, parents and staff. Midtown Center is a nonprofit organization that provides after-school and summer enrichment programs for students and their parents. PR agency veteran and Midtown board member Bob Kornecki and I served as sponsors of the program. 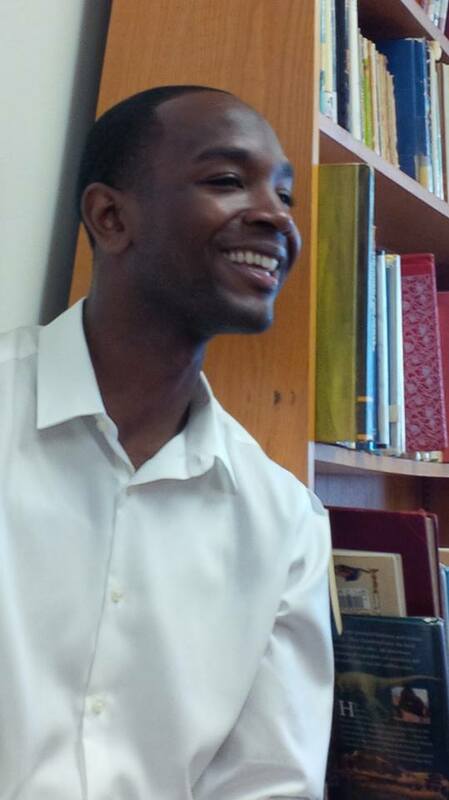 The PR program’s lead instructor was Aaron Westbrook, a recent graduate of DePaul’s PRAD master’s program. Below, Aaron reflects on his incredible summer experience. Aaron’s guest post is followed by an article from one of his students, Noah Alonzo, who played an active role in writing and editing the weekly newsletter. It’s 9:30 AM on June 17, 2014 and the Apprentices have all taken their seats in Room 303 of the Midtown Center for Boys. Thoughts begin to race through my mind as to whether or not I was ready; the nerves begin to kick in. I timidly approach the front of the room as it’s time to begin a summer experience of a lifetime. Just as nervous as they were to begin their apprenticeship, I was equally timid to introduce 13 young men to the Public Relations field. Despite the first day jitters, the hard work and preparation began months ago as I began preparing a syllabus that not only the students would find fun and exciting, but one that I would have enjoyed as a young adult. Growing up, my mother was an advocate for advancing my education throughout the summer through tutoring and reading assignments. Although the classroom knowledge I developed early on was beneficial, their long term impact wasn’t sustainable. I was eager to introduce a program that not only advanced the students educational prowess, but one that would rally them around PR as an exciting and fun field to be a part of. From day one, the apprentices were given many responsibilities throughout the summer: writing for a weekly newspaper, creating impromptu presentations, participating in team building exercises and round table discussions; amongst a variety of other weekly assignments. However, each time they were given these responsibilities, they not only fulfilled them… they often times exceeded expectations. Starting the first week, these young men began writing, brainstorming, and welcoming new ideas and concepts for their summer apprenticeship program. Many people could have watched the students develop the Midtown Voice, the weekly newspaper for the Midtown Center, but I believed that being actively involved in the creation of the paper was crucial to advancing the success of the program. Introducing new processes like weekly blog assignments, brainstorming and team building exercises, coupled with daily news round table discussions to centralizing news articles to a single online platform, proved to advance the students admiration for continuous learning and interest in the PR profession. Although my passion for PR was evident from day one, reinforcement from successful professionals was by far the most impactful addition to the program over the previous summers’. From Edelman to the Cubs, San Jose Group to Crain’s; the students witnessed PR at work firsthand. Despite my educational achievements and graduating with my Master’s Degree in Public Relations & Advertising just two days prior to starting the program, this experience has truly been the most challenging yet fulfilling opportunity I’ve ever been a part of. In a Leadership course at DePaul University, taught by Ron Culp, I was introduced to the concept of transformational leadership. Being briefed with this concept of changing the culture showed me that introducing new ideas, and inspiring creativity would be beneficial to co-creating possibilities. I can’t put into words how inspiring this opportunity was, but I can certainly say it has impacted me immeasurably. As I transition from Chicago to New York City (Midtown Manhattan) to work with Ketchum as the recipient of the coveted KEPRRA award, these 13 young men taught me life lessons and advanced my leadership skills in ways unimaginable; and for that I am forever grateful. Midtown’s main goal is to have young children develop into fine gentlemen with fulfilling careers. One career option that Midtown offers is within the Public Relations and Communications profession. This year’s apprenticeship gave high school students the opportunity to develop their personal writing and analytical skills, while gaining actual experience in public relations. Before going to Midtown, I was already studying creative writing and wanted to pursue that major in college. I had also been experimenting with writing poems, short stories, and even film screenplays on my own. I wanted to be a freelance writer in the future, but I was worried about not being financially stable. Last year, Midtown offered a journalism class where students, including myself, would learn about the journalism field and get paid for writing weekly papers. Upon joining the program, I wasn’t convinced that I wanted to do journalism, in fact I thought about being an English teacher instead. This year, my new “employer” Aaron Westbrook wanted to continue the tradition of making weekly papers but introduced a whole new field of communications: Public Relations. I didn’t have a clue what Public Relations was. Aaron happens to be a master’s graduate in PR at DePaul University and was offered the job at Midtown by his former instructor Ron Culp. Culp is one of many influential people involved with the Public Relations and Communication program and made it possible to not only get paid for our hard work but also give us the opportunity to learn about the PR field. This program allowed us to have conversations with professors and executives in the Public Relations field, coupled with visits to the most respected PR firms in the city of Chicago. This experience educated me about job opportunities and has motivated me to pursue a career in Public Relations. 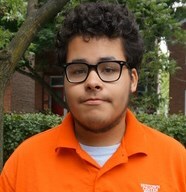 Noah Alonzo is a senior at Rowe-Clark Math & Science Academy in Chicago. He enjoys writing both new stories and screenplays. See some great photos from the program at Faces of Midtown. In addition to a tour of Wrigley Field arranged by Kevin Saghy, the Midtown Boys visited the Chicago offices of Edelman and the San Jose Group. They also heard from a large number of PR and academics, including: Don Ingle, Pepe Maldonado, Kenon Brown, Luis Agostini, Todd Behme, Joseph Tateoka, George San Jose, Mark Revermann, John LaSage and Mike Devlin. Thanks to everyone who made this program a huge success. Many thanks to the PRSA Foundation, DePaul University and Ron Culp for generously supporting this summer’s apprenticeship — the best ever in its six-year history. The Midtown Voice newspaper and Faces of Midtown website offer superb examples of what these young men are capable of accomplishing through hard work, team spirit, and disciplined leadership.